As a DJ for the Armed Forces Radio Service in Saigon, Adrian Cronauer is innovative, irreverent and raises quite a few powerful eyebrows. Robin Williams shone in this Golden Globe-winning act with his impeccable timing, improv skills and the trademark “Gooood Morniiiiing Vietnaaam!”, in a film that presented humour in uniform against the otherwise bleak background of the Vietnam War. As the nonconformist English teacher John Keating at a stiflingly conservative school, Williams inspired an entire generation to listen to their calling. “Carpe diem” was reintroduced and poetry, read out in Williams’ reassuring baritone, was popular once again. Based on neurologist Oliver Sacks' memoir of the same name, the film boasted of stellar performances by both Robert De Niro as the patient Leonard Lowe, and Williams as his doctor Malcolm Sayers. While the former all but stole the show with his act of a patient coming out of catatonia, Robin Williams’ measured and restrained act was also praiseworthy. From a seeker of a cure for illness, to one afflicted himself, Robin Williams played Parry, a deluded professor who believes he is looking for the Holy Grail, after the gruesome scene of his wife’s murder sends him into a catatonic state. Fantasy and the absurd run parallel in this film, and Williams’ electrifying performance won him another Golden Globe for Best Actor. Peter Banning is a lawyer who has forgotten that he, in fact, is Peter Pan, the leader of the Lost Boys of Neverland, and Captain Hook’s mortal enemy. While this Steven Spielberg flick did not garner much critical acclaim, it is second only to the Pirates of The Caribbean series as the most popular pirate-themed film of all times. Robin Williams fit the role of the harrowed father and the magical leader to a T.
A voice role in which it is difficult to imagine anyone else for posterity, Robin Williams improvised the part of the Genie so much, that Aladdin could not qualify for the Best Adapted Screenplay category in the Academy Awards. The shape-shifting Genie and as many voices of his could only be pulled off by a man of Williams’ mettle. With a performance that had us in splits, Euphegenia Doubtfire is arguably the most memorable character Robin Williams played. His juggling between the voice actor Daniel Hillard and the nanny Mrs Doubtfire to be able to be near his children, was hilarious and heartwarming in equal measure. Alan Parrish is trapped in a magical board game when he is twelve, and revived by another set of children playing the game twenty-six years later. Robin Williams as the older Parrish proved his versatility yet again with this fantasy adventure film. Williams as the troubled therapist Sean Maguire shone in this film, which excelled on many levels. Battling the ghosts of his past while helping an unidentified genius turn around his life, he gave a sublime performance which also fetched him the Academy Award for Best Supporting Actor. 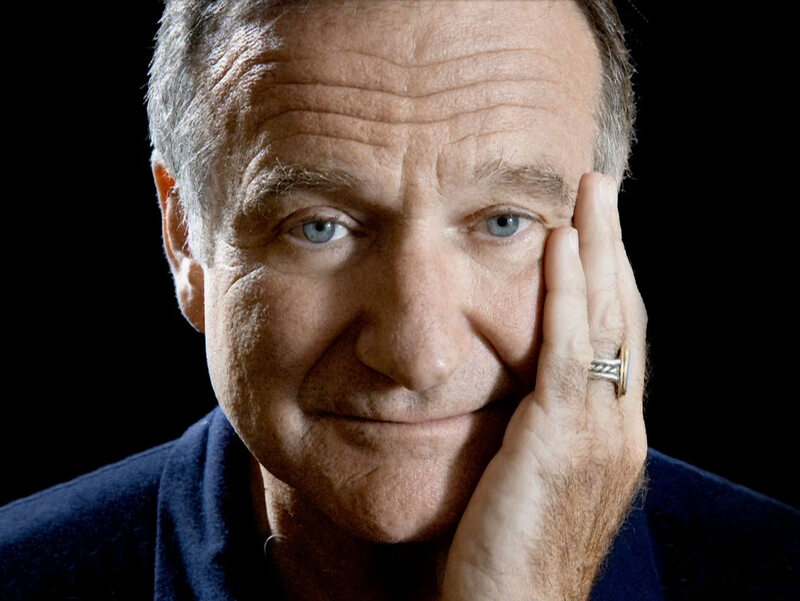 “I never hit that point with the performance where you start to see the acting”, said director Christopher Nolan about Robin Williams in this psychological thriller. Williams, holding his own alongside another giant Al Pacino, gave a nuanced performance as the killer Walter Finch. To the uninitiated, Robin Williams in a dark Nolan thriller might sound ludicrous, yet the ease with which he settled into the tense mystery bears testimony to actor’s immense talent. This miniscule list does not do justice to this maverick’s expansive body of work. Which other performances by Robin Williams are your favourites? Share with us in the Comments below!